Good water resistance — Strong resistance to wash out of bearings. Good rust and corrosion protection, even in wet conditions. Protection against shock loading, thus extending bearing life. Good low temperature pumpability — Better handling in the container and grease dispensing equipment. They are manufactured using highly refined, select high viscosity index base oils, and a lithium soap. They are brown in color and smooth and buttery in texture. NLGI 0, 1 for better pumpability at low ambient temperatures. NLGI 2 for use in normal ambient temperatures. Protect bearings and other metal surfaces from corrosion when exposed to wet conditions. Resist water. These greases strongly resist being washed out of bearings. Retain their consistency under adverse service conditions. Provide outstanding film strength and adhesive properties. As a result, Texaco Multifak EP greases are particularly effective in providing low wear in shock load service. Operate effectively over a wide temperature range. General use in the lubrication of trucks, tractors, and passenger cars. This includes ball joints, universal joints, and all other chassis points, non-disc brake wheel bearings, water pumps, and fifth wheels. 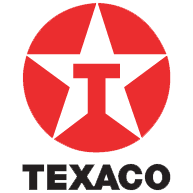 Texaco Multifak EP 2 is approved for the NLGI Certification Mark LB.